We've been on a major house/stuff/clutter/everything purge after reading a bunch of books on living more simply, minimalism, essentialism, or whatever you feel like calling it (I have LOTS more to say on this subject but more on that later). It's been an amazing journey and we're still working our way through the house, it takes awhile when you're only purging during nap time! The first order of business was to go through and get rid of anything we don't currently use. Sounds harsh but it's necessary. I'm a pretty organized person but I'm also frugal to the point of ridiculousness so the amount of hotel soaps and shampoos I was holding onto was just stupid. 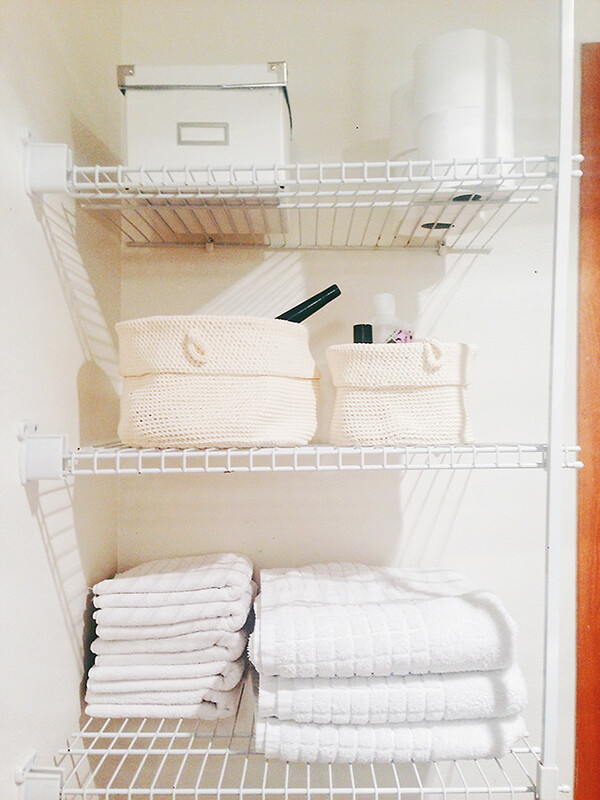 The more stuff you have to "organize" the less your area will stay tidy and well... organized. 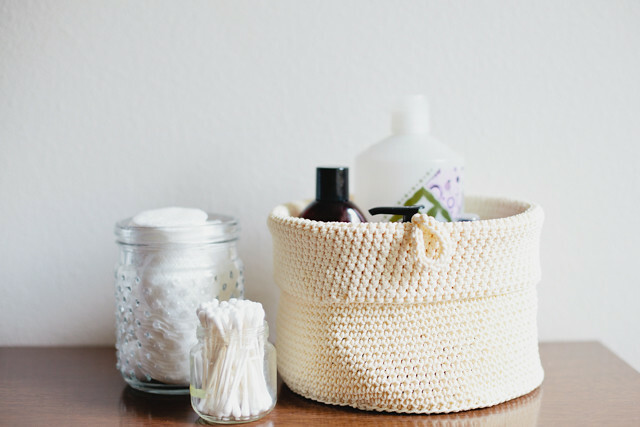 Storage boxes and baskets don't always equal organized, it just LOOKS more organized and this drove me crazy. So I got rid of a TON of stuff. Hairspray, last years hand soap, lotions we haven't used in who knows how long, broken combs and brushes, face wash that didn't work for my skin, dull razors (why??) and LOTS more. I put cotton pads and cotton swabs in glass containers for easy access since we use them daily. 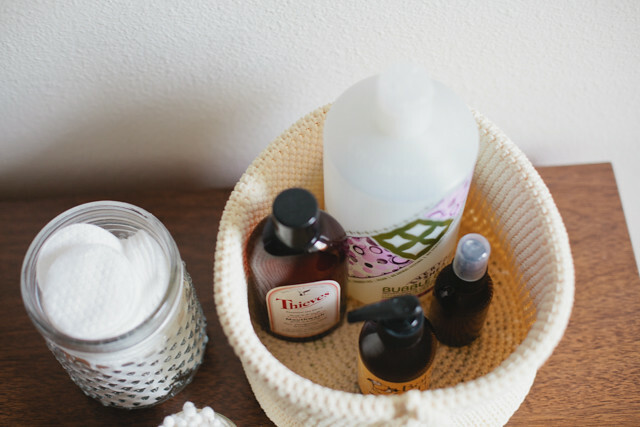 In this smaller basket I put larger items we use everyday like Beck's bubble bath and lotion. There's four things in there--easy to find, easy to put back and easy on the eyes. 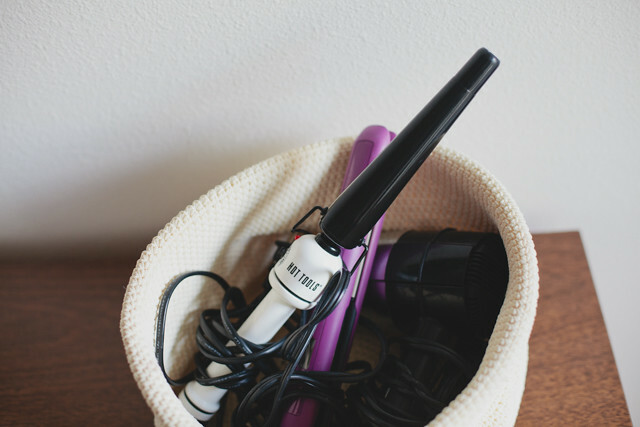 In the larger basket I put our hair tools--Flat iron, curling wand and blow dryer. Cords hidden but still easy to get to all three. A portion of what didn't make the cut... SO much stuff we didn't use or don't need. Why did we still have this stuff?! I used a lidded box to store things we use but not often like Sonicare chargers and new heads, new razors, and a neti pot. And I store toilet paper up top too--it doesn't need to be hidden or out of sight! The bigger the rolls the better, less to store and less times you have to change it out. The cottonelle Megarolls are great-four rolls in one. Great for saving space which we desperately need! Phew! So glad to have that done. It has already been so much easier to clean, find things and stay tidy. 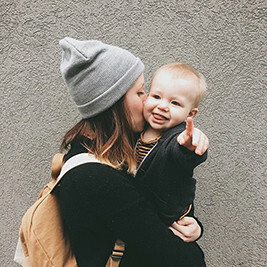 Hope you're inspired to do the same! 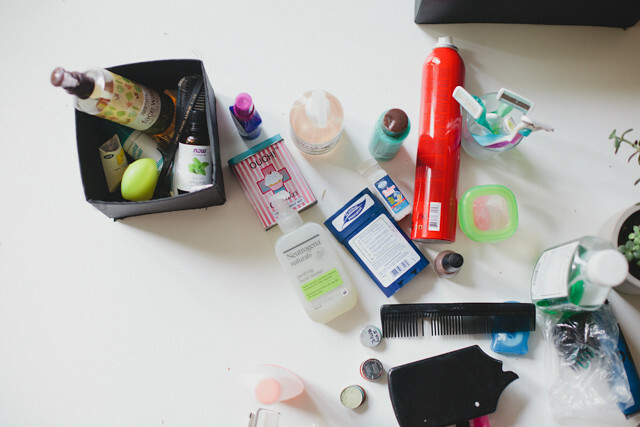 Cleaning out the drawer in our bathroom has been on my list for months now! I think you have inspired me to tackle it this weekend! Just moved and we're in the process of a major purge. It's so refreshing! I definitely want to pick up a few pretty baskets like those! I look forward to more posts like this. Purging makes me very excited! I'm sure you know this, I just always like to double check when people mention NetiPots - you're using distilled water, correct? A friend nearly died from a brain infection she got from using tap water in her NetiPot. The membrane between the sinuses and the brain is so thin, infection and bacteria are easily spread between the two. The Best Chocolate Chip Cookies... Ever! A quick getaway to the beach!